Mix prawns with salt and ginger. Leave it aside for 15-20 minutes. 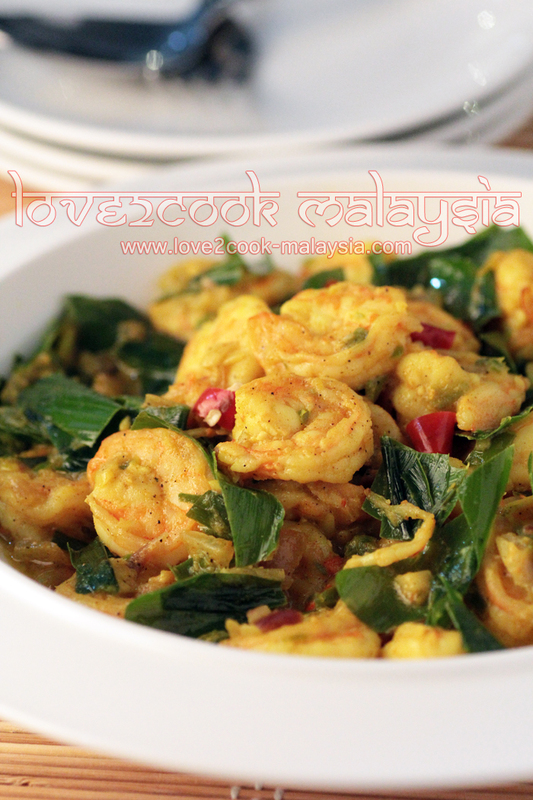 Fry prawns in oil till golden, dish out. Reduce oil in wok and saute garlic, shallots. Add in sliced onion, red chilies and birds eye chillies. Stir until fragrant. Add turmeric powder, turmeric leaves, salt and water. Stir for a while and add in black and white pepper powder. Add in prawns and stir well. Turn off heat and squeeze in lemon juice. Mix together. boleh ler buat mlm nih....baru jer buka n3 kamu nak carik resepi. Hi Ijan, how you been??? Finger is still wire...another 2 weeks to go! 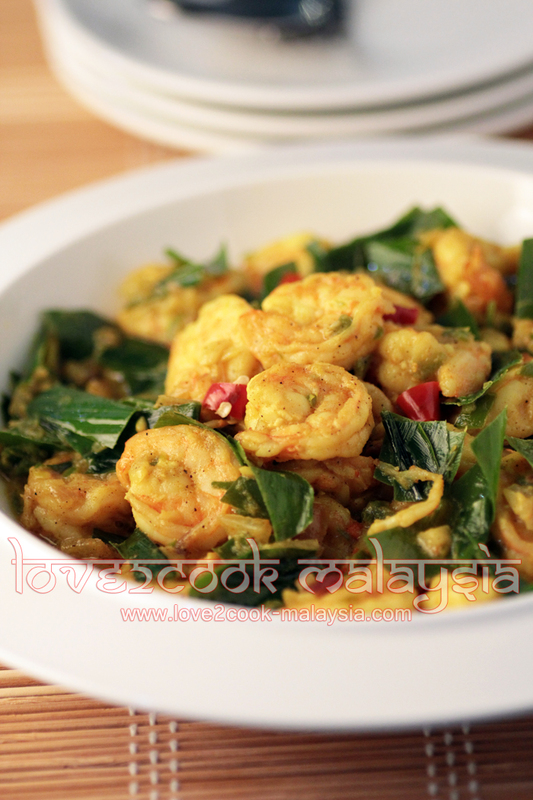 I'm new to this turmeric leaf ..
Yummy recipe... Will try this soon.. I'm fine dear, how about u? Congrats on getting your own domain, looks spicy and so yum! 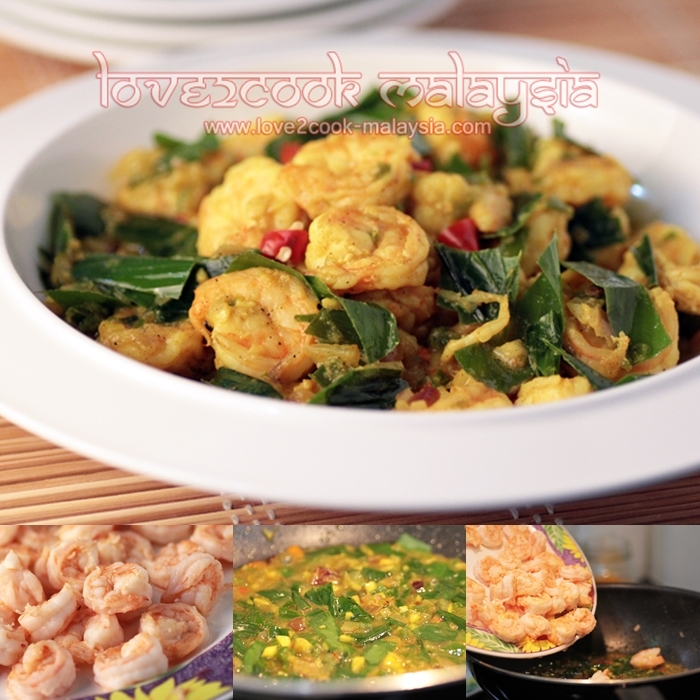 Delicious prawn fry .....drool worthy....loved ur clicks! 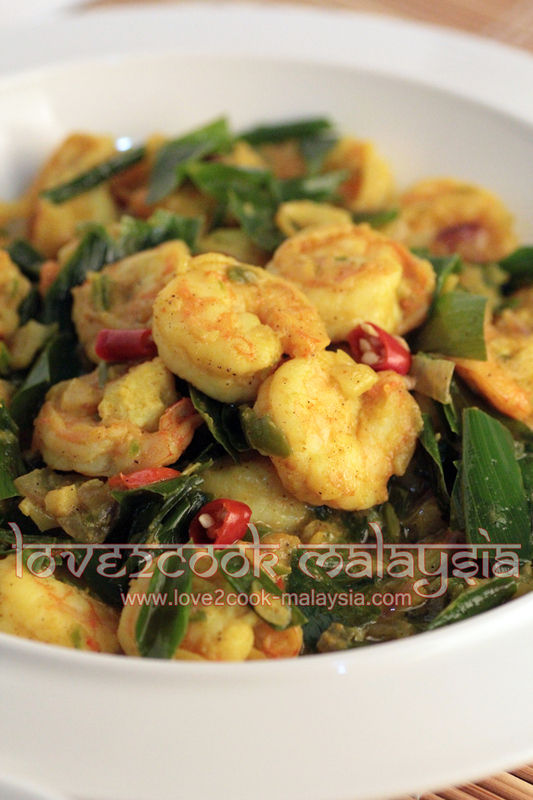 Simple and nice... sure sedap kan.. nak pi keluar kan udang lah fm freezer.. tks! Looks so sedap lah Love! Congrats on your own new domain! i like your fired kunyit prawns, much the same as mine. Want to try out your style with peppers and turmeric leaves added. must be aromatic.